February is the National Children’s Dental Health Month; sponsored by the American Dental Association (ADA). 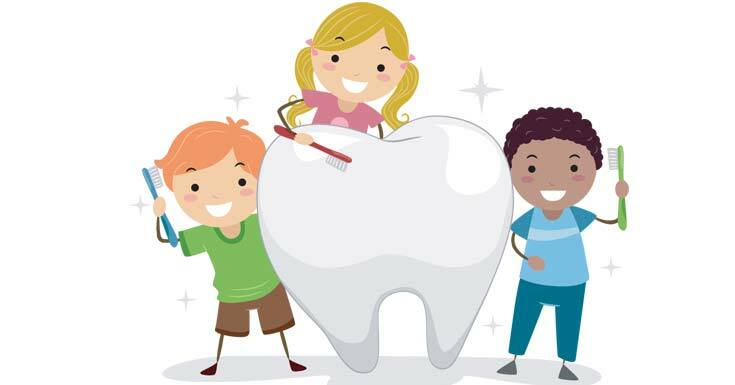 The aim to set up this month as National children's Dental Month is to bring and increase the awareness about the importance of kids’ oral health.Taking good care of your teeth is very important along with learning how to keep your smiles strong and beautiful. You have to make sure that youbrush your teeth for the recommended two minutes. Sometimes we wonder whether it’s worth all the fuss to care for teeth that will soon fall out and be replaced with a permanent set, but those baby teeth matter!As per the experts; if kids lose their teeth prematurely, their enduring teeth can come in crooked or otherwise compromised. Having good teeth health can prevent you fromdeveloping cavities in your baby teeth; and this will almost always cause decay in your permanent teeth. Brushing can be excitingif you really understand the reasons behind caring for your teeth. You can get involved in some activities or sessions about teeth health. Get involved with your parents when they are attending some and start with simple science experiments ( this can't be with your teeth though), and learn from the visual aids which can help you understand about the dental care advocate. The American Dental Association whichhas a slide of free dental care goodies that parents, teachers and dentists can use to capture kids’; this of coursewill also educate you on proper dental care. There are even activity sheets, lesson strategies,puzzles and games. You have an option to download the full packet in English here and even in Spanish. The internetis always there to help us to browse throughall of the National Children’s Dental Health Month resources. While the National Education Associationoffers you a super set of dental-oriented science worksheets, which can be downloaded. The highlights include a dramatic display of an acid attack on bones (which are rich in calcium, just like teeth) this can help you to imagine what happens to yourteeth when you consume sweet foods and beverages. There are many options to learn about your dental health, the Renaissance Dental presents a downloadable booklet of fun dental facts. This booklet helps you to find out about the warning for the super- sensitive: and few more facts that may seem a little gross (especially to grownups). But the fact to know is - on an average; your mouth is home to over 100,000,000 micro-creatures; which swim, feed, reproduce, and deposit the waste in your mouth. This makes you wantto brush your teeth daily in the morning... doesn’t it? Well … yes, it does, but make a habit of brushing your teeth at leasttwo times a day... that means at the time before yougo to bed too.. and it also makes us want gargle with mouthwash. Your parents are the best judges for your oral health. So you need to make sure you share everything about your teeth so that they can help you out when there is a need. We use our teeth to bite and chew up, but did you know dolphins only use their teeth to grasp? As Dolphins can’t chew, because dolphins’ jaws have no muscles. There is nodoubt that children and youth are experiencing oral health issues now and then; and are more likely to miss school because of their bad oral health. This makes them have a poor academic performance compared totheir peers. Studies show that at the school-age children and youth in the U.S. are missing 51 million hours of school each year due to dental health problems. These absences can mean behind critical learning time, particularly in the early grades when foundational skills are being developed. 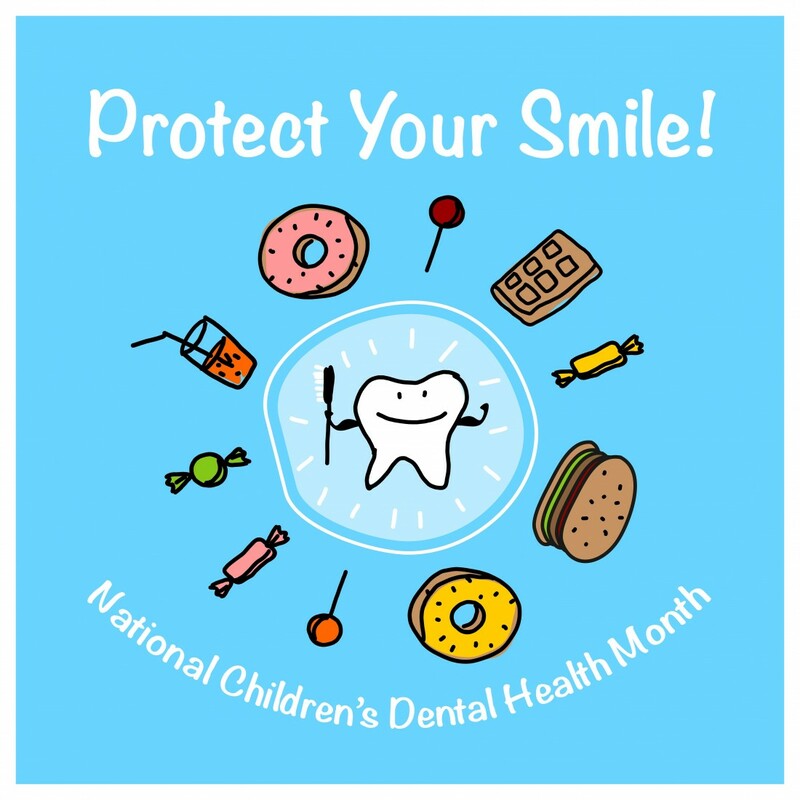 Happy National Children’s Dental Health Month!! !